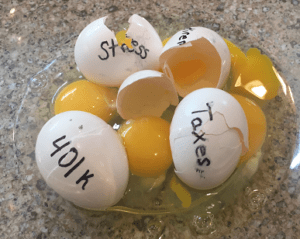 Home » Blog » How Could the New Tax Plan Affect My 401K Options When I Retire? I’m wondering how many others might be concerned for the safety of their retirement plan. Money in your 401k has been growing tax-deferred and will be taxed upon withdrawal, as always. As far as the tax plan affecting how you can use your 401k, it may only change the amount taxed. The new tax plan could impact how much tax you pay on those withdrawals; it could be more, or it could be less. So, at this point, I don’t see any significant changes to 401(k)s, but until the entire tax legislation is finalized with the IRS, it’s not entirely impossible. I expect there will not be changes that affect retirement vehicles and that 401k Rollover options will continue as they have. However, as most people have a significant portion of their retirement funds in their 401k, it’s a great time to review those options, especially during the time leading up to retirement/ separation from an employer and immediately after. It is important to note that failure to understand or disregarding the existing rules on a 401K rollover will be more catastrophic to your tax situation that any tax legislation changes. I’ve outlined some of the most common questions I receive regarding 401K rollovers, along with my brief answers. Why should I rollover my 401(k)? Rolling over your 401(k) may give you access to some different options that you would not have available in your employer plan as far as investment selections. What’s available to you in your employer plan may not be what is best suited for your risk tolerance or goals. It also allows you to be free from any employer restrictions that may be on your plan or fees that the employer plan charges. One of the most common reasons people roll out of their 401(k) plan is for simplification, consolidation and professional management. Many people wish to have personal guidance. An advisor that has a pulse of their entire financial plan, including those monies that are in their 401(k), can often better guide them. Usually with an employer 401k, the only assistance available is by calling an 800 number and speaking to somebody in another state or maybe even in another country and also has no information on the employee’s entire financial picture. When can I rollover my 401(k)? When you retire, you're eligible to do a rollover. Also, when you terminate employment, you are also eligible to do a rollover, even if you are under 59 ½. What many people do not know is that many companies allow an in-service rollover as long as you're 59 ½ years old. This means you can rollover all or a portion of your 401k even if you are still working and contributing to your 401k. This may benefit you if you are getting ready to retire in the next couple of years that want to use those funds to start building a distribution plan or an income plan. As long as you’re at that attained age of 59 1/2, it still allows you to continue to participate in your 401(k) until you retire. In short, I don’t recommend you complete a rollover. It’s in your best interest to work with a qualified professional when you do this. It’s vital to remove funds from your 401(k) as a custodial transfer, trustee to trustee transfer or a direct rollover. This is an area where a small mistake could be extremely costly, and an investment professional can save frustration and expense. There are also limitations now as to how many indirect rollovers can be completed in a year, so beyond potential penalties and/or taxes, doing this wrong can limit options and cause further problems. When should I rollover my 401(k)? For reasons stated above, any time when leaving an employer, you should seek professional guidance in rolling over a 401K. Also, I’d recommend that due to the in-service rollover option at 59 ½, that is an excellent time to begin the retirement planning process if you haven’t done that yet. 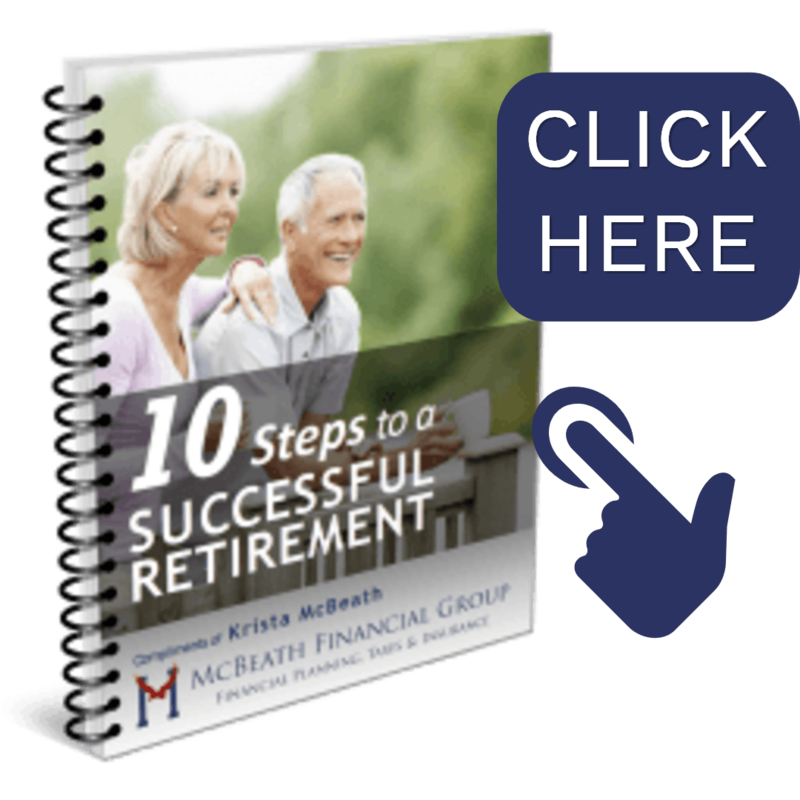 It allows you to leverage that money and use it to build your overall income and retirement plan. Another reason that you may consider a rollover would be due to poor performance within your 401(k). Of course, you would have to have some analysis completed to know how your account is performing on a risk-adjusted standpoint, looking at the risk associated with that portfolio and how well you're being rewarded for the amount of risk that you're taking. While analyzing the risk and reward, it also makes sense to scrutinize fees and how that’s impacting the overall portfolio performance. Understand the fees inside of your 401(k) can sometimes be difficult to find, so it may be worth seeking professional advice. Will I pay taxes on my 401(k) Rollover? Not if it's correctly done. A 401(k) rollover is simply moving your 401(k) money from your 401(k) into an IRA. So again, as long as it's done correctly, it remains tax-deferred. Do I report it on my tax return? Possibly. Quite often, your custodian will send you a tax document that is for informational purposes only, letting the IRS know that you've completed that rollover. If they do, it does get reported on your tax return, but not as taxable income. If I do a rollover, what kind of options will I have? One of the biggest misconceptions, when people ask about an IRA, is that they think of an IRA as an investment. I’m often asked, Can I have my IRA in stock?” Or, “Can I have my IRA in an annuity?” The annuity, stock, mutual fund, ETF, or bond is the investment vehicle. The IRA is simply the tax status. Therefore, you could have, stocks, mutual funds, ETFs, CDs, all of these things can be IRAs. Can I just leave my 401(k) with my former employer? It’s an option, but not one I’d recommend. One of the most significant areas of concern I have with 401(k) staying with an employer is what I’ve seen from my experience in working with clients. Often, when going over their investments in their 401k, we find that they just don't have any guidance or anyone to turn to for the help they really need. Although they likely receive investment performance periodically, those statements often lack information regarding the risks of those investments and the impact of a negative market correction on their retirement accounts. Beyond that risk, most people are going to need a distribution plan that accounts for the safety of funds, but also has continued growth for longevity. Most of my clients want a plan to minimize taxes and fees while being peace of mind that they and their spouse do not outlive their funds. Beyond that, they want a trusted advisor that can assist them in achieving their retirement dreams. What should I do about my 401(k) now? On a final note, I would encourage you not to wait until legislation or a market correction happens before you look more closely at your investments. Regularly monitoring these accounts is critical to the quality of your retirement, regardless of the current market, tax laws or your employment status. When facing retirement or market changes, it’s imperative to discuss options with a financial professional. By waiting, there’s always a chance that it may put your portfolio and options at risk. For specific question regarding 401K rollovers or retirement accounts, I specialize in helping individuals within two years of retirement, by analyzing 401k options as part of a comprehensive retirement plan. We utilize our proven Technology Empowered Advisor Method (TEAM) as our approach to financial planning. This TEAM process begins with assessing an individual’s current financial position, including assets, risk and fees in relation to their primary goals. With these goals in mind, we utilize complex software programs to calculate, test and report. The goal is to show high success rates in the stress tests for your various goals. If we don’t see those high success rates, then we need to discuss options and solutions for goal achievement. Next, we educate and demonstrate how our recommendations meet our client’s needs. Finally, we guide our clients along the path to implementation, giving them the peace of mind they have earned.